FG bans sale of cigarettes to anyone below 18, list places where smoking is prohibited – Royal Times of Nigeria. The Federal government has announced the ban on the sale of cigarettes to persons below the age of 18. 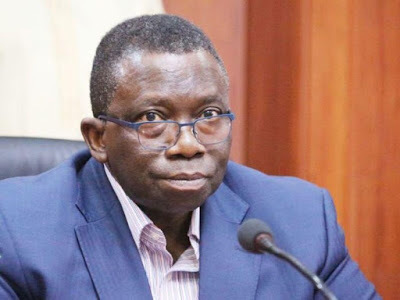 Minister of Health, Isaac Adewole, made the announcement during a press briefing in Abuja as part of activities to mark the World No Tobacco Day, yesterday. He said; “Having carefully analysed the NTC Act 2015, I wish to announce with high sense of responsibility that government will begin implementing the following provisions: Prohibition of sale of tobacco products to and by anyone below 18; ban of sale of cigarettes in single sticks. Cigarettes must be sold in packs of 20 sticks only; and smokeless tobacco shall be sold in a minimum of a pack of 30 grams. “Ban of sale or offer for sale or distribution of tobacco or tobacco products through mail, internet or other online device; prohibition of interference of tobacco industry in public health and related issues; and Prohibition of smoking in anywhere on the premises of a child care facility; educational facility; and health care facility. “Other prohibited places for smoking include playgrounds; amusement parks; plazas; public parks; stadium, public transports, restaurants, bars, or other public gathering spaces.” Adwole also called for the prosecution of owners or managers of any of the places listed above, who permits, encourages or fails to stop smoking in the above listed places. He also announced the prohibition of tobacco advertising, promotion and sponsorship of any kind; and compliance with specified standard for content as set out by Standards Organisation of Nigeria (SON).